CHICAGO, Oct. 30, 2013 -- VOLO - Have a hankering to own the Ghostbusters Ecto-1? How about a 1982 Pontiac Trans Am KITT exhibition car? Or maybe a one-of-a-kind, screen-used, documented space rover from the 1979 cult classic "Alien?" Christmas is right around the corner, after all. And anyone looking for that perfect gift for the guy or gal who has everything need look no further than the upcoming Volo Auto Museum eBay auction. The auction will be Nov. 1-7 and can easily be accessed through a link at www.volocars.com. Participants must have an eBay account. "When we were putting together our Cars in Wonderland exhibit, we bought a lot of items and there were many things that we took off of display," said Brian Grams, director of the museum at 27582 Volo Village Road, Volo. "We are liquidating multiple items - everything from a 4-foot-tall fiberglass "Aladdin" genie to a gas-powered "Herbie" go-cart - to make way for new exhibits." Highest bidders will claim most items regardless of price, though a low reserve is placed on the "Alien" rover. 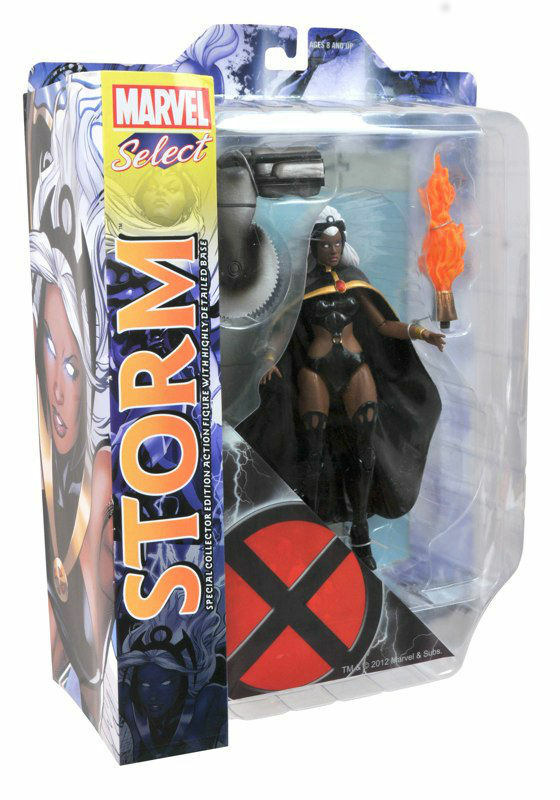 New Diamond Select Products in Diamond Comics' August Previews Catalog! July 2013 - It's that time of the month again, when the newest Previews catalog arrives from Diamond Comic Distributors! It's a big month for Diamond Select Toys, as they have seven separate items listed for pre-ordering, including bottle openers, artwork, Minimates, electronic vehicles and more from Marvel, Star Wars, Star Trek, The Walking Dead and Knight Rider! Check out what you can pre-order now below, and find your nearest comic shop at comicshoplocator.com! 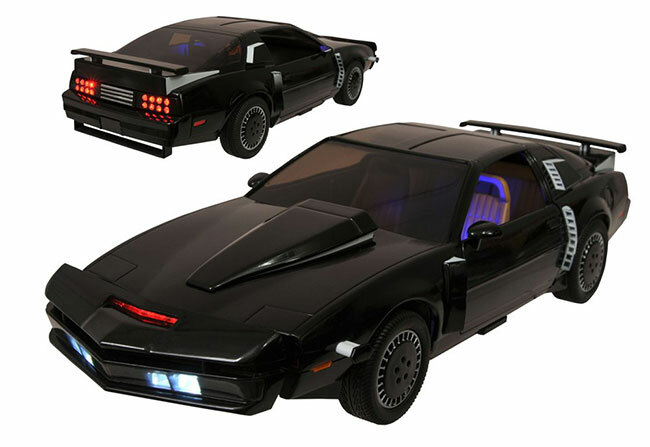 On Sale This Week: Knight Rider 1/15 KITT and Marvel Select Storm! November 28, 2012 - Wednesday, a.k.a. New Toy Day, is almost here, and it's a big day for Diamond Select Toys! 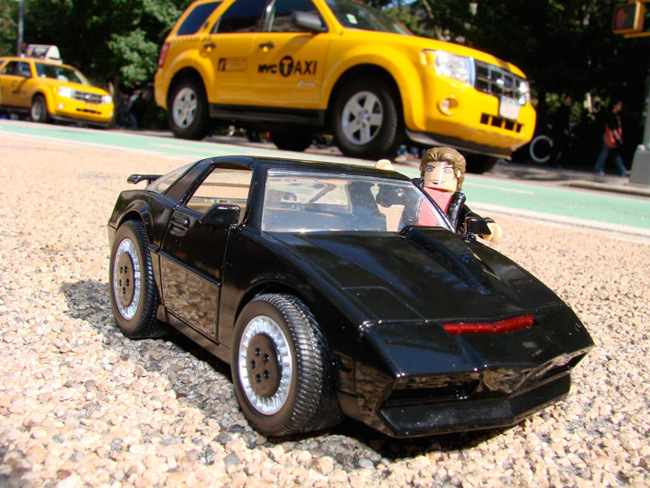 In addition to the next figure in their popular Marvel Select action figure line -- Storm of the X-Men -- comic stores and specialty shops will receive the first electronic vehicles of KITT vehicles from Knight Rider! 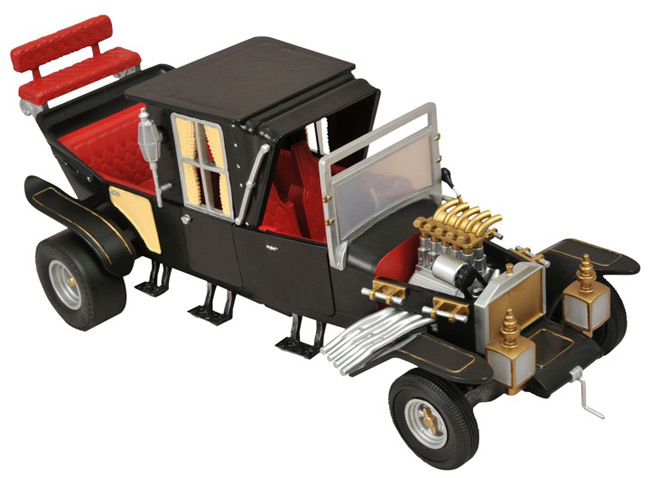 August 2012 - In recent years, Diamond Select Toys has dazzled toy car collectors with their realistic lights-and-sounds 1:15-scale replicas of the time machine from the Back to the Future trilogy. 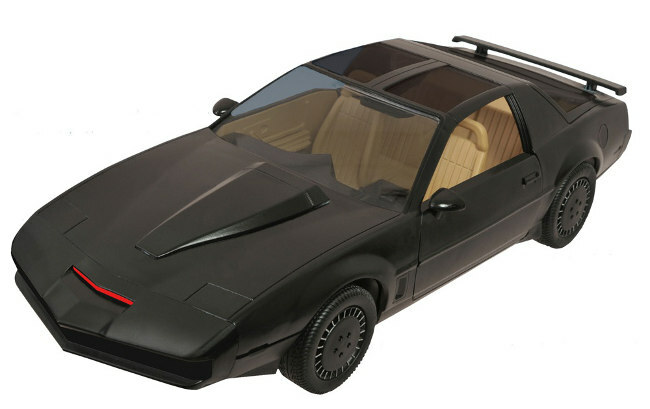 Well, DST recently announced that they were going back into production on three of the time machines -- the original, the 1950s version and the Old West version -- and now they've announced two more flashing, revving, honking and talking cars that are joining the line: Knight Rider's KITT and The Munsters' Munster Koach! 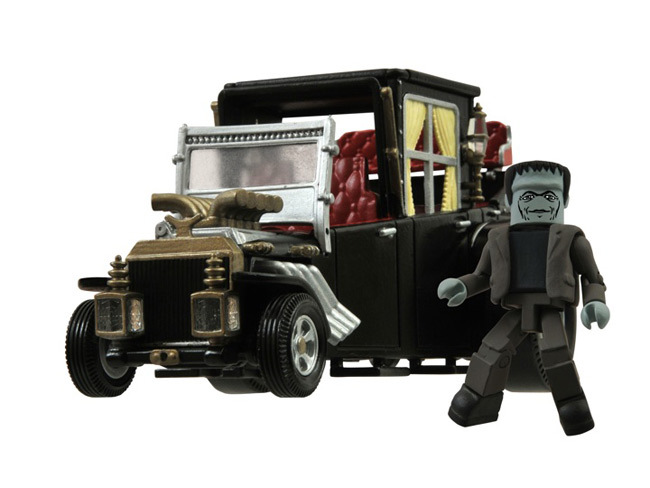 The Munster Koach is a 1:15 scale replica of the family Koach from the popular 1960s TV show The Munsters. Custom ordered by Lily Munster and combining a dragster and a hearse, it measures 14 inches long and features working lights and sounds from the show, including a revving engine and squealing tires! With fully detailed moving parts, you'll find yourself humming the theme song every time you look at it. July 2012 - The world of Minimates is growing by leaps and bounds every day -- in fact, with all of the new properties getting Minimated, it's gotten positively huge! Luckily, now there are more ways to get around that giant universe than ever! The Toys "R" Us-exclusive Knight Rider KITT Minimate vehicle just recently hit stores, and now there are three more Minimates-scale conveyances heading to stores this fall! Check out the next batch of mini-rides coming soon from Diamond Select Toys!